Area code 905 was put into service. Area code 905 was created from a split of area code 416. In 2001 area code 905 was overlaid with area code 289. On March 25, 2013 area codes 905 and 289 were overlaid with area code 365. Ten digit dialing (area code + seven digit number) is necessary in the 905/289/365 overlay because two different homes in the same geographic area can have the same seven digit phone number but each would have a different area code. 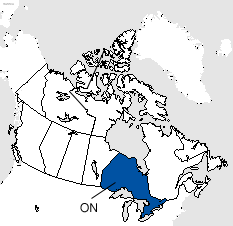 Area codes 905, 289 and 365 cover a portion of southern Ontario including Niagara Falls and the Greater Toronto Area, and the larger communities of Ajax, Ancaster, Aurora, Brampton, Burlington, Caledon, Cobourg, Dunnville, Fort Erie, Georgetown, Hamilton, King Township, Maple, Markham, Milton, Mississauga, Newmarket, Oshawa, Richmond Hill, St. Catharines, Stoney Creek, Thornhill, Unionville, Welland, Woodbridge and many smaller surrounding communities in the area codes 905 and 289 overlay service area.